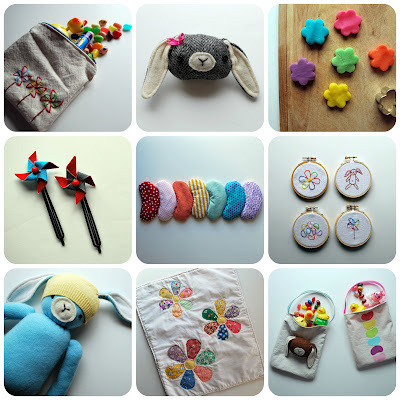 Need some spring-ish projects? How about 15 of them using an assortment of techniques, from embroidery to sewing to paper craft to making scented play dough? Just wanted to drop in and remind you about my Spring Variations project set I put together last year. It contains several projects perfect for whipping up a little something last minute but handmade for Easter--as well as other projects that would be just peachy for May Day or other spring-y events. 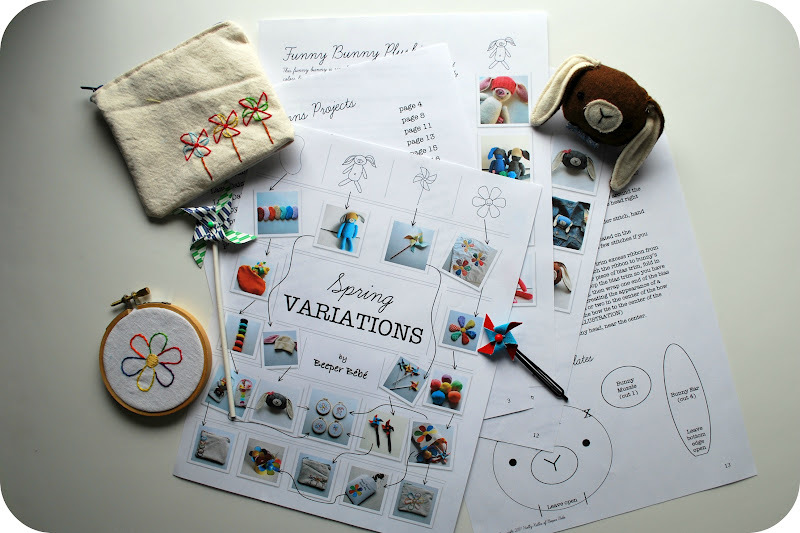 All the projects you see in the first photo are contained in this project set--so, yes, if you like my funny bunnies made from recycled sweaters, or those scented jelly bean bags--this project set contains the patterns and instructions for making both of those (and lots more). You can find the project set here, in my Etsy shop. I took the liberty to disclose on my blog. I hope you do not mind that.